Do you think that the bar of professionalism has been raised in the 5 years since the Software Craftsmanship Manifesto was published? Why or why not? My short answer is “yes” – and “no”. Being around since the early days back in November 2008 when I joined the Software Craftsmanship mailing list, and having been involved in the different thoughts on the Ethics of Software Craftsmanship, my longer answer hides in this blog entry. You know what happened on the March 7th 2009? According to Wikipedia, the Real Irish Republican Army killed two British soldiers and two civilians, the first British military deaths in Northern Ireland since The Troubles, and the Kepler space observatory, designed to discover Earth-like planets orbiting other stars, was launched. Right. But there was also something happening in the software development sphere. You don’t remember? The Software Craftsmanship Manifesto went public. Amazing. In December, many of us met in Libertyville at the first ‘craftsmanship summit’ with the intent of establishing a set of principles for Software Craftsmanship. After the summit, the conversations continued on the mailing list, finally culminating in an elegant summarization of our thoughts by Doug Bradbury. Today, we put the manifesto up on the web as a statement of our values as craftsmen. 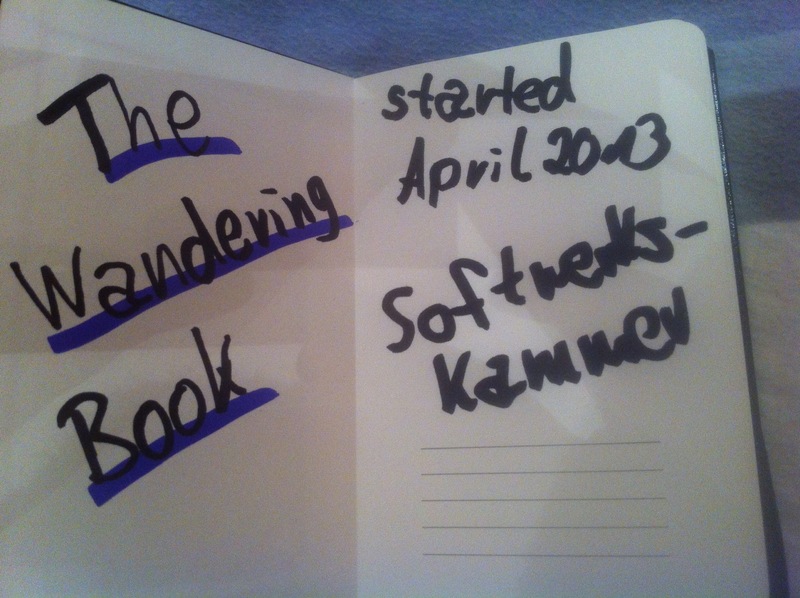 I’m inviting you, as members of the software craftsmen community, to view the manifesto and, if you choose, to sign it. This is an exciting time for all of us, a result of the participation and thoughts of everyone, both at the summit and in the subsequent discussion online. I want to thank everyone for carrying these ideas forward. As of today, there are over 1500 signatures on the Manifesto. 1500 people are fighting against “crap code”. Those who have been fighting “crap code” now know that they are not alone in their fight. Those who write “crap code” now know that there are 1500 people fighting against them. The Manifesto is a gentle push away from “crap code” and toward craftsmanship. That quote immediately sprang to my mind last Saturday when I head home from the first German Socftware Craftsmanship and Testing (un)conference. With 52 participants from at least five different countries, we had 52 people getting together in order to carry on that message, in order to fight crappy code. No wonder then, that we had a lot of coding sessions. Sandro Mancuso for example led through a session using the Nine Rules from Jeff Bay’s Stefan Roock led through several coding dojos on the OpenSpace day. But beyond that, I was glad to see other topics that are sometimes forgotten when speaking about craftsmanship. In fact, if you take a closer look on the manifesto, it states that we want to raise the bar by growing communities, and helping others learn what we do, and how we do it. That said, there was a talk by Fabian Lange on performance, one by Uwe Friedrichsen on architecture, one by Pierluigi Pugliese on soft skills for developers, and my session on self-education in testing. We also got together in a fishbowl on software craftsmanship in order to seek opportunities to go further from the starting point of SoCraTes, and grow communities all over the country. We had Uri Lavi who leads the user groups in Isreal as well as Sandro Mancuso who runs the London Software Craftsmanship user group. In a call to action on Saturday we decided who was interested in running a meet-ups in the next two months in different locations all over Germany. Just in case you live nearby Hamrbug, Osnabrück, Münster, Bielefeld, Düsseldorf, Köln, Karlsruhe, and Frankfurt keep your eyes and ears open. There’s probably soon someone starting something, announcing something, or just getting together in a bar to discuss the topic of Software Craftsmanship, and what it means to us. I was really impressed. Not only having been around in those early days on the Software Craftsmanship mailing list back in December 2008 when it all started, but also being in the loop of discussions around the Ethics of Software Craftsmanship, having contributed to the Wandering book, and having helped organizing this event (please send the real kudos to Andreas Leidig and Nicole Rauch who mostly put together this conference alongside Bernhard Findeis, Martin Klose, Marc Phillip and myself), it was so amazing seeing this become real, and kicking off for next actions to grow a community in Germany. I look forward for more to come after this inaugural get-together of the German Craftsmanship community, and will surely report on the things that are going to happen. Over the course of the past week, I have been made aware about the perception what Software Craftsmanship is about. I asked two persons about their perception on Software Craftsmanship, and I got similar responses: The public perception seems to be that Craftsmanship is all about code, katas, and Coding Dojos. Unfortunately this is quite not all that is to Software Craftsmanship, and here is what I think anyone talking about Software Craftsmanship should be aware about.